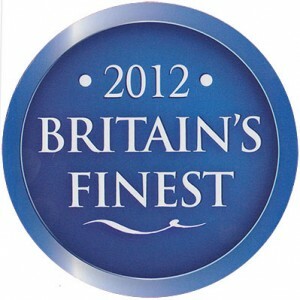 We have been nominated for a Muddy Stilettos Award!! 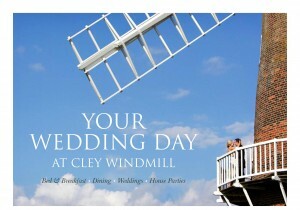 CLEY WINDMILL, HOLT. 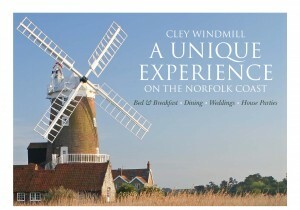 Anyone who likes staying in buildings that were originally constructed for very different purposes will love Cley Windmill, which celebrates its 300th anniversary next year. 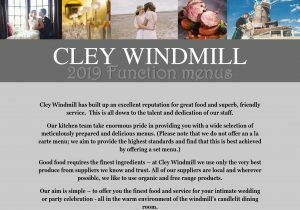 Converted into a B&B in 1966 (by the father of the singer James Blunt), it was bought six years ago by the current owner, who runs it as a B&B sleeping 22 in nine rooms – six in the windmill, and three in the converted outbuildings such as an old boathouse and a dovecote. It can be hired for exclusive use – it is hugely popular for weddings and works well for house parties. 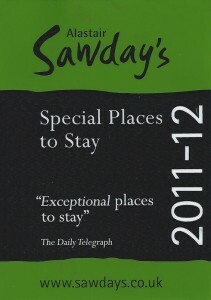 New additions include a cafe in the garden with a full alcohol licence, which serves wine, coffee and panini. The lovliest room has to be the Wheel Room, which takes up the top two floors of the tower and has far-reaching views over the salt flats. Another element that makes it not quite a conventional B&B is the fact that excellent candle-lit dinners (of the good old-fashioned homemade variety) are served every night, although booking in advance is recommended. There is plenty to do in the area, from walks on the beach to seal-watching at Blakeney Point. Driving through the dense forest, the large sky hidden from view, it is easy to forget what a big county Norfolk is. Right on its edge is Cley-next-the-Sea (pronounced Cly by locals), originally a lot more next-the-sea than it is now. The River Glaven, once navigable by large ships, silted up in the 17th century, exposing salt-marshes, reed-beds and freshwater pools abutted by a shingle ridge. 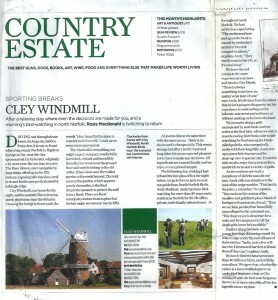 Cley Windmill, our home for the night, nestles quaintly like a sleeping portly gentleman near the old quay. Crossing the bridge to its car park the words “How beautiful the place is, watch is hold time still,” could never seem more appropriate. 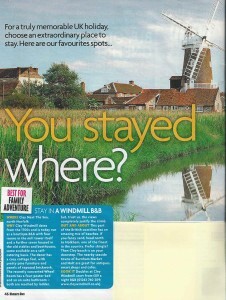 The windmill is everything you might expect: compact, comfortably furnished, relaxed and incredibly friendly. Our room is on the ground floor and used to belong to the old miller. It has views over the walled garden to the reeds beyond. The wall around the garden, which appears purely decorative, is the final desperate measure to protect the mill from a flood. There are flood emergency instructions in place but the last major occurrence was in 1953. All guests dine at the same time with the same menu – there is no choice and it changes daily. The seems strange but after a hectic week and long drive it is an unexpected pleasure not to have to make any decisions. 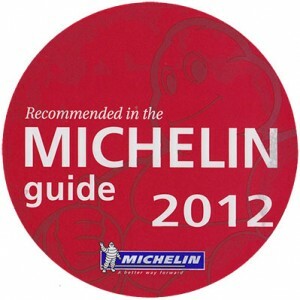 All ingredients are sourced locally and we enjoy an exceptional supper. We leave the red rumps to the more experienced watchers and head to Cley Marsh. “There is always something to see here, no matter what time of the year,” says Andy. It’s obvious from the outset that he isn’t going to disappoint us; his experience is outstanding and he informs, entertains and enthuses us without making us feel overwhelmed. We meander along a path surrounded by reed-beds until we arrive at the first hide, where we watch avocets casting their beaks side to side searching for food among the black-tailed godwits, who energetically probe with their long bills. Andy sets up a powerful telescope and the close-up view is spectacular. From this hide we also enjoy the oystercatchers, sandwich terns and a variety of gulls. Farther along the bank we see young lapwings skimming round the waters edge under the surveillance of their mother. “Sadly, only a few will survive. Herons and harriers will take them if they can,” explains Andy. By lunch-time we have seen more than 40 different birds, each with its own allure. 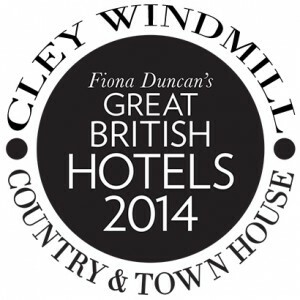 We agree that, whether the visitor is a keen ornithologist or an undecided beginner, a stay at Cley Windmill with the bird watching tour thrown in is most enjoyable; all the key ingredients are in place. 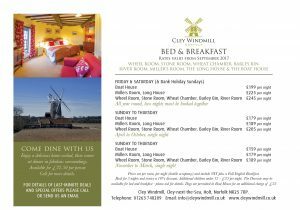 STAY IN A WINDMILL B&B. 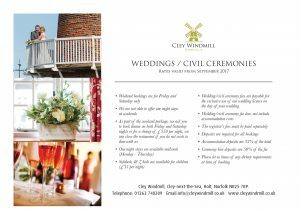 Why Cley Windmill dates from the 1700s and is today run as a boutique B&B with four rooms in the mill tower itself and a further seven housed in the old stables and boathouses, some available on a self-catering basis. The decor has a cosy cottage feel, with pretty pine furniture and panels of exposed brickwork. The recently converted Wheel Room has a four-poster bed and an en suite bathroom – both are reached by ladder, but, trust us, the views completely justify the climb. Out and about The part of the British coastline has an amazing mix of beaches. If you fancy sand, head north to Holkham, one of the finest in the country. Prefer shingle? 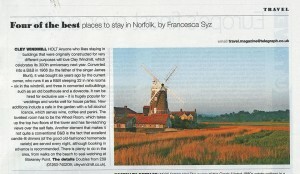 Then Cley beach is on your doorstep. The nearby seaside towns of Burnham Market and Holt are great for antiques, smart shops and cafes.